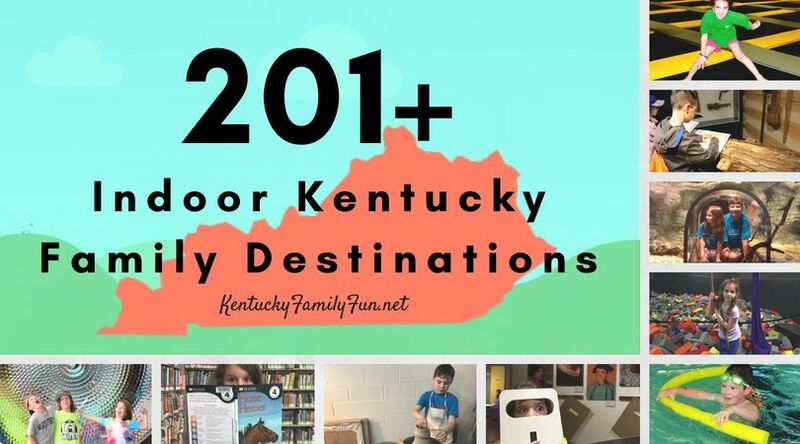 With the energy levels running high and the entertainment budget level low, Kentucky State Parks are the perfect solution for summer vacation. I told my three kids (ages 9, 8, and almost 5) to pack an “adventure bag” to include snacks, napkins, a water bottle, a glass jar for collecting whatever and something to keep them occupied in the car. Then we set off, along with our dog, in the minivan to General Butler State Resort Park. From our home in Oldham County, we took the more scenic back route on highway 42. There was a roadside shop that had strawberries as well as a couple mom and pop diners along that route, but with the aforementioned dog in tow, we didn’t stop. The entrance to the Park was very easy to find and we immediately saw signs for the paddle boat rentals and miniature golf. We wove our way upward all the way to the Observation Point. There is very limited parking at the top of the hill, but it’s worth the drive up. My kids were in awe of the view they had of the Ohio River and the city of Carrolton below – not to mention how impressed they were with the stone structure that made up the Observation Point. From there we loaded back up in the van and headed down the hill to entrance of the Fossil Trail. A four and a half mile trail with little legs didn’t seem feasible but there was a shorter trail (.6 miles) that led to the Boy Scout trail (.25 miles) which was totally doable. We did have to cross a street at one point, but car traffic is very light. We wound our way down to the Butler-Turpin Home and the Butler Family Cemetery, and history always makes for a great teaching moment. I hadn’t realized that the trail was just a trail and not a loop so we trekked back up to our van after we walked around the house grounds a bit. The trail on the way back was steep and I had a couple complaints from my youngest, but we all made it back up without incident. After we emptied our water bottles, we headed to one of the two play grounds on site and to use the facilities. For park bathrooms, they were completely acceptable and well received at that point. I also was so happy to see that the folks who designed the park did some planning and put the swings in the shade! There were also picnic tables in the shade and a pavilion by the restrooms. We headed over to the lake next and found another trail that appeared to loop around it. Next time we go back, I’ll start with that one! Since we were there on weekday, the pedal boat rental was closed but the lake is open to non-motorized craft year round. There is another pavilion by the lake for large gatherings and more picnic tables as well. We thought the mini golf looked fun, but couldn’t work it out as we had our dog with us. There was also a Hawaiian Ice stand so make sure you have cash! For the kids, the dog, and me, it was a perfect weekday adventure. The kids loved being able to take our dog, and he had a lot of fun too! The park itself is clean and has more to offer than the few things we took advantage of. General Butler Resort Park has an impressive lodge, which gives you access to their swimming pool, and an expansive campground. There are also tennis courts, a nine-hole golf course, fishing (with a license), bird watching, and the Butler-Turpin Museum (open on the weekends). It would definitely be worth an overnight stay to be able to check out the lodge or even a cabin as well as the pool and other trails we missed.